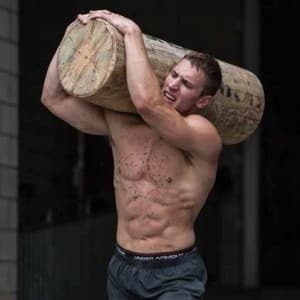 You are here: Home › Stayfitcentral Health & Fitness Blog › Health & Fitness Blog › Ask The Experts › Build Muscle On A Keto Diet – No Carbs Required! Talk to 10 personal trainers and athletes and 9 of them are likely to say you can’t build muscle on keto diets. You just need to know the right way to eat, supplement, and train to do so. In this article you’ll learn how it’s very possible to build muscle while eating keto. Even if you’re eating 0 grams of carbohydrates a day. I’ve read dozens of research papers, spoken to the experts, and tested new ideas on myself to learn how to add muscle while eating keto. My research and personal experiments show me that it is possible. Whether you are new to the keto diet or have been on it for years, there’s lots of information in this post that will help you build muscle – without adding fat – without eating lots of carbohydrates. You don’t need carbs to build muscle. How being in ketosis can be helpful when you want to make gains. 5 tips to grow muscle, lose fat, and get stronger on a ketogenic diet. The best supplements for building muscle on keto. There are 2 reasons people most often claim you can not build muscle without ample carbohydrates in your diet. The first is that they are required to cause a large enough increase in insulin to give your muscles the nutrients needed for them to grow. The second is that we need to eat lots of carbs to replenish what was used by our muscles during a workout so they can recover and rebuild. Research finds that carbohydrates are not needed to build muscle post-workout. Below are the reasons why. Protein alone is enough to build muscle. 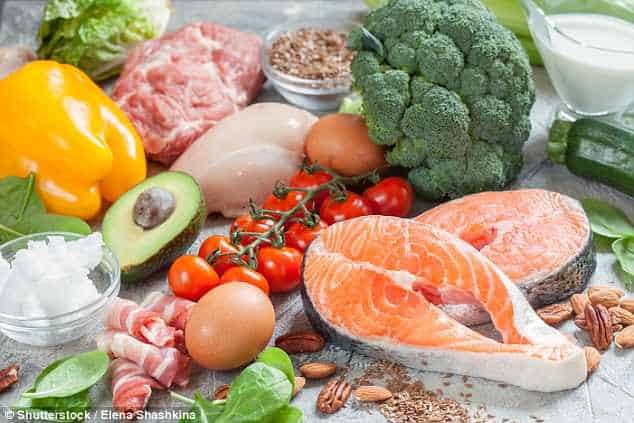 Scientists find that your body gets enough of an increase in insulin from the protein you eat (beef, chicken, eggs, fish, etc.) to enable muscle growth to occur. Adding carbohydrates for this purpose doesn’t help make your body grow muscle any faster. Post-Workout Carbs Aren’t Necessary Either. If you’re eating low carb/keto you don’t have to worry about replenishing your muscles with carb rich foods like Gatorade, pasta, bread, fruit, rice, etc. post-workout. Studies find that eating a low carbohydrate diet keeps your muscles from using carbohydrates for energy during hard workouts. What happens instead is that you get the energy you need to fuel your training primarily from the fat your body has stored and the foods you eat. This means you don’t need as many, if any, extra carbohydrates to energize your workout. Studies find that any carbohydrates you do use to fuel your workout can be replenished anyway. Remember you’re still likely to be eating 20-50 grams of carbohydrates a day on a keto diet. Maybe even more. When you’re burning fat for to meet your energy needs, these carbs will be stored in your muscles. Our body can also make the necessary carbs to be stored in our muscles via other biochemical processes as well, all without ever eating a single piece of bread or fruit. How eating keto can help you build muscle. Research done by leading low carb scientist Jeff Volek, PhD and colleagues finds that eating low carb can cause you to gain muscle, while you are losing body fat. In their study, the guys eating a low carbohydrate diet lost 7 pounds of fat and gained over 2 pounds of muscle. In just 6 weeks. They didn’t lift weights either. Additional research finds that, eating low carb will not cause your body to turn on itself and eat away at your muscles for energy. 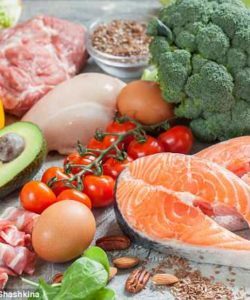 Several studies support Dr. Volek’s research finding that eating a ketogenic/low carbohydrate diet supports losing body fat while gaining or at least maintaining their muscle they have. Just How Does Eating Keto Help You Build Muscle? Ketones prevent muscle from being broken down into energy. When your body senses it is starving, it may resort to using the protein that makes up your muscles for the energy it needs to survive. When you are in nutritional ketosis this does not happen. Instead the ketones your liver makes for energy when you are skipping carbs spares your muscles from being used for energy. Nutritional ketosis increases growth hormone. Since you lift weights, you have probably heard of human growth hormone (HGH). Eating keto causes your body to release more of it throughout the day. Since HGH plays a role in muscle building and fat loss too, this increase may also help you build more muscle without needing carbohydrates. We eat more protein on a keto or low carb diet. The research reviewed for this article shows that on average, the subjects ate more protein than normal. In most cases it was at least the .7 grams per pound of body weight, which the upper limit to what we need to build muscle. Below are a few tips to help you build muscle when you are eating keto. They are what I and many others find works the best. Give them each a try for 30 days and let us know what you think (link). 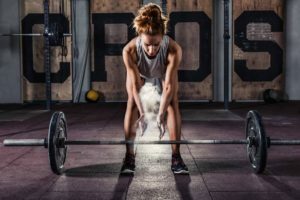 While people have gained muscle (and simultaneously lost fat) on a low carbohydrate diet without strength training, you are likely to see better results if you do. You don’t have to do anything fancy or learn complicated exercises. Focus on exercises that use the large muscles of your body (legs, chest, back, shoulders) using weights that you can lift for 5-8 reps.
Do any combination of these exercises 3-5 days a week. Every workout only needs 10-15 in total sets to be very effective. Don’t freak out after reading this section. It’s really important. 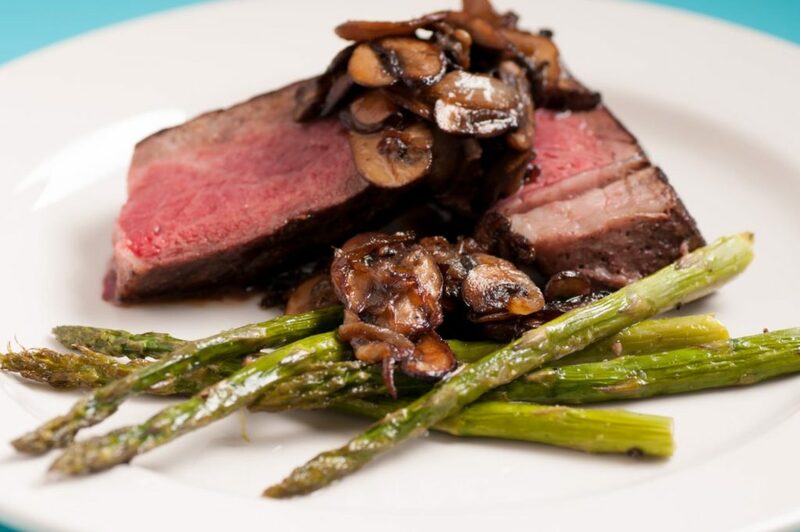 When starting on a keto diet, you’re often told to limit protein to 100 grams or less every day to ensure that your body is not kicked out of nutritional ketosis. This may be enough to build muscle. For those of us who lift weights and do other intense workouts multiple times a week we can use the extra protein for recovery and building muscle. A recently published study finds that men and women who lift weights actually need to eat about .8 grams of protein per pound of body weight for optimal muscle growth. This equals 120 grams of protein per day for a 150 pound person (150 * .8 = 120). You can easily get this much protein by eating a couple servings of your choice of meat (beef, chicken, fish, pork, etc.) and a protein shake. The people in the keto studies who build muscle were eating at least this much every day. Unless you need to eat more calories, the rest of your macros (carbs and fat) will stay the same as normal on your keto diet. You’ll still need keep carbs low (usually 50 grams of less per day) and eat plenty of fat (shoot for 1.4 grams per pound of your weight). They’re several products you can take to help you grow new muscle without carbs. I’ve listed the 3 that I have found to be most effective below. When it comes to building muscle, there’s no supplement that’s better than good ‘ol plain creatine monohydrate powder. Dozens of well designed scientific studies and testimonials from thousands, if not millions of people show that it can help you gain anywhere from 2-10 pounds of muscle in as little as a month. Even if fat loss is your goal, taking creatine monohydrate is a great idea. In addition to building muscle, it will help you continue to train hard, get stronger, and reach your goals faster. Even though you’re eating less. Don’t worry, it won’t make you bloated. When you want to build muscle as quickly as possible, make sure you take creatine the right way. Research finds that taking 20 grams a day for 5-7 days is the best way to go. Dived the 20 grams into 4 drinks spaced throughout the day. Once you’ve done this, you only have to take 5 grams (1 scoop) a day to continue building muscle. I use Betancourt Nutrition Micronized Creatine Monohydrate powder. It’s tested to be 100% pure and always gives me great results. While not a muscle builder, taking MCT oil is still very helpful for us keto athletes. As you may know, taking MCT oil helps your body make more ketones. These are the energy boosting compounds that we make when we’re following a keto or low carbohydrate diet. Ketones are used for energy instead of carbohydrates on a keto diet and as I write above, help keep your body from using your hard earned muscle for energy. The more ketones you have circulating in your bloodstream, the deeper you are into nutritional ketosis and more fat your using for energy. Taking MCTs helps keep your body in nutritional ketosis even if you eat a too much protein. It will also give you more energy and endurance for your workouts. I take a tablespoon about 30 minutes prior to a workout and always notice a beneficial effect with regard to my mental energy and endurance. It’s also great to drizzle over your food. It’s flavorless so it won’t change how your food tastes. Using it with meals will keep your body in fat burning mode and help protect your body from using protein for energy. The supplement I take is MCT Edge. It’s our in house brand. We researched and sourced the best ingredients available to create a pure, pharmaceutical grade, sustainably sourced oil that delivers nothing but MCTs in every serving. Click here to buy pure MCT oil from our online store. When you take MCT oil, start with small servings. It’s digested very rapidly and can cause an upset stomach if you take too much at first. It’s best to start with 1 teaspoon and increase in 1/2 teaspoon increments. Do this until you get to 3 teaspoons. This is equal to 1 tablespoon. A tablespoon is the what most people take each day. Usually blended in their coffee, protein shakes, drizzled over food, or taken right off the spoon. Here’s an article that details how much MCT oil you should take depending on different goals and needs. It’s often a bit of a struggle to eat enough protein every day to keep our body in muscle building mode. That’s okay. All you need to do when you aren’t able to get your protein from steak, chicken, fish, or pork is to quickly mix up a protein shake. This will help you get between 25-50 grams of pure, muscle building protein without having to cook, clean, or go out to buy food. You can drink your protein shakes when you eat or as a snack. If you’re drinking it as a snack, adding fats like MCT oil or almond butter will help you stay full longer. My favorite protein powders are Adaptogen Beef Protein powder and Quest Whey and Casein protein shakes. Drinking a shake with 1-2 scoops of either product gives your body really high quality protein. Buy Adaptogen 100% Beef Protein from our store. While you do not need to obsess, it is a great idea to figure out how many calories you need to eat every day to build muscle. You also need to determine many grams of carbohydrates, protein, and fat your body requires to stay in nutritional ketosis and build muscle without gaining fat. The best way to do this is use an online calculator which determines how many calories a well as grams of carbohydrates, fat, and protein required by your body to build muscle. I personally use and recommend is the calculator at the Ketogains website. This is a site run by Luis Villasenor, a body builder who has been on the ketogenic diet for 18 years. In this time, he’s built a lot of muscle, gotten stronger, and stayed lean without carbohydrates. He’s also helped thousands of others do the same. Luis is a true expert when it comes to optimizing the ketogenic diet for building muscle and getting lean. Whenever I read something he posts or here him interviewed I always learn something new about keto. The KetoGains calculator determines how much you need to eat based upon your body weight, activity level, and fitness goals (lose fat, build muscle, etc.). Give it a try yourself to dial in how much you need to eat to achieve your goals. I learned this very effective tip from Luis Villasenor, of KetoGains. 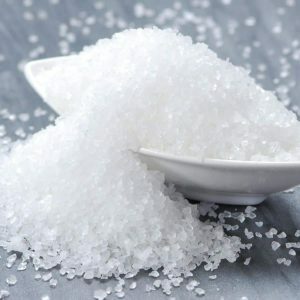 Electrolytes – especially sodium, potassium, and magnesium – play an important role in many, many processes our we need to function. Without them we’d die. While not life or death for most of us, having optimal levels in our body also enables us to put 100% into our workouts. Getting enough electrolytes from the food or nutritional supplements is of extra importance when you are eating low carb/keto. This is because restricting carbohydrates causes your body to lose excess water weight. When you lose this extra water weight, you also flush out more electrolytes than normal. Losing larger amounts of electrolytes rapidly when you are cutting carbohydrates a primary cause of the ‘keto flu’ many of experience during the first 1-2 weeks of this way of eating. Rapidly depleting your body of electrolytes will also kill your energy levels in the gym. It is this, not the lack of carbs that makes you feel so weak and sluggish when you exercise while limiting carbohydrates from your diet. Bodybuilder and keto diet expert Luis Villasenor has great recommendations for electrolyte intake for us low carb and keto dieters. After 18 years of eating keto and bodybuilding, he’s figured out the best electrolyte formula for us. Below are Luis’ electrolyte recommendations. You can learn more about how he came up with these amounts and each of their benefits at this article. You now know just what you need to do to build muscle while following a keto diet. All that’s left is for you to get after it. Give it a try for 30 days or so and let us know what you think. Kephart WC1,2, Pledge CD3, Roberson PA4, Mumford PW5, Romero MA6, Mobley CB7, Martin JS8,9, Young KC10,11, Lowery RP12, Wilson JM13, Huggins KW14, Roberts MD15,16. The Three-Month Effects of a Ketogenic Diet on Body Composition, Blood Parameters, and Performance Metrics in CrossFit Trainees: A Pilot Study. Sports (Basel). 2018 Jan 9;6(1). Manninen A. Very-low-carbohydrate diets and preservation of muscle mass. Nutr Metab (Lond). 2006; 3: 9. Nair KS, Welle SL, Halliday D, Cambell RG. Effect of β-hydroxybutyrate on whole-body leucine kinetics and fractional mixed skeletal muscle protein synthesis in humans. J Clin Invest. 1988;82:198–205. Paoli A1, Grimaldi K, D’Agostino D, Cenci L, Moro T, Bianco A, Palma A. Ketogenic diet does not affect strength performance in elite artistic gymnasts. J Int Soc Sports Nutr. 2012 Jul 26;9(1):34. Volek J, Freidenreich D, Saenz C, Kunces L, Creighton B, Bartley J, Davitt P, Munoz C, Anderson J, Maresh C, Lee E, Schuenke M, Aerni G, Kraemer W, Phinney S. Metabolic characteristics of keto-adapted ultra-endurance runners. Metabolism. 2016 Mar;65(3):100-10. doi: 10.1016/j.metabol.2015.10.028. Volek JS, Sharman MJ, Love DM, Avery NG, Gomez AL, Scheett TP, Kraemer WJ. Body composition and hormonal responses to a carbohydrate-restricted diet. Metabolism. 2002;51:864–70. Wilson JM, Lowery RP, Roberts MD, Sharp MH, Joy JM, Shields KA, Partl J, Volek JS, D’Agostino D. The Effects of Ketogenic Dieting on Body Composition, Strength, Power, and Hormonal Profiles in Resistance Training Males. J Strength Cond Res. 2017 Apr 7.